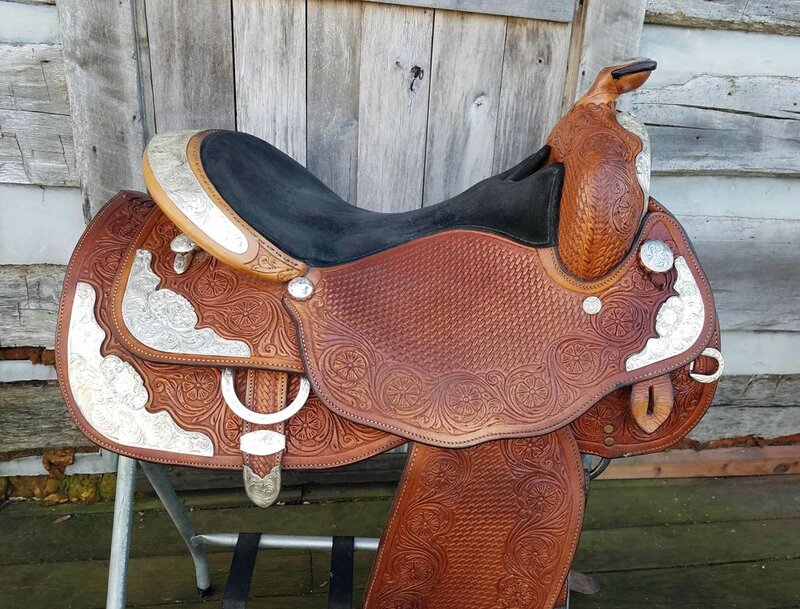 Black Eli Miller Trail Saddle. 16inch seat. 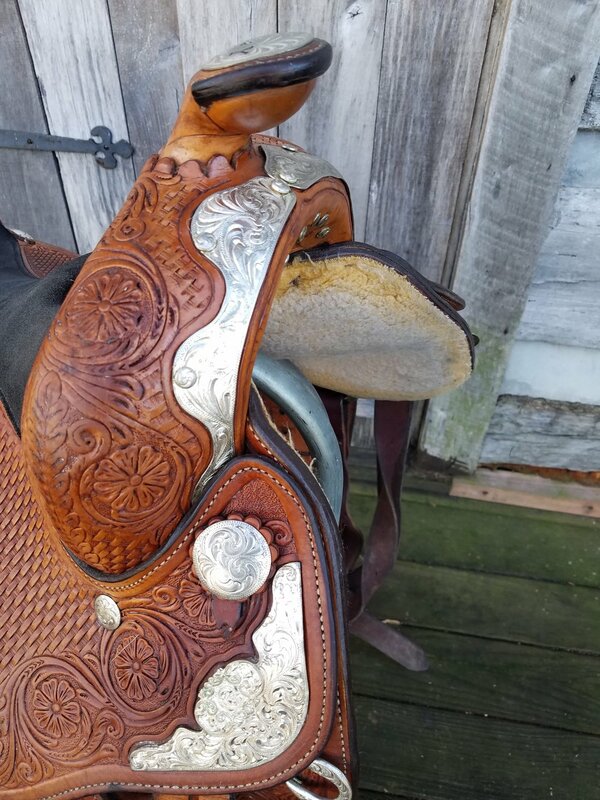 Semi QH bars with a bit more flare to the shoulders on the Ralide tree. 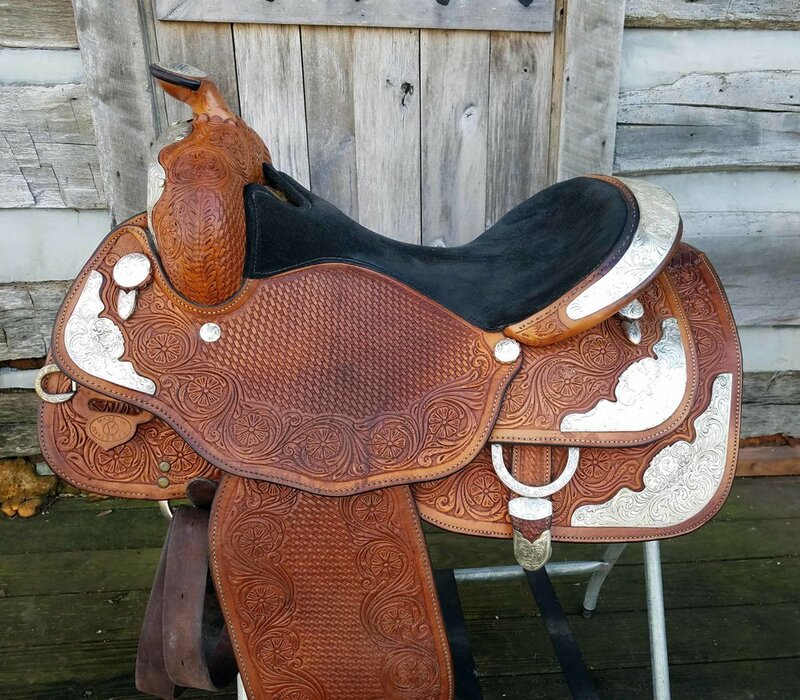 This is a used saddle but it is still in good condition. 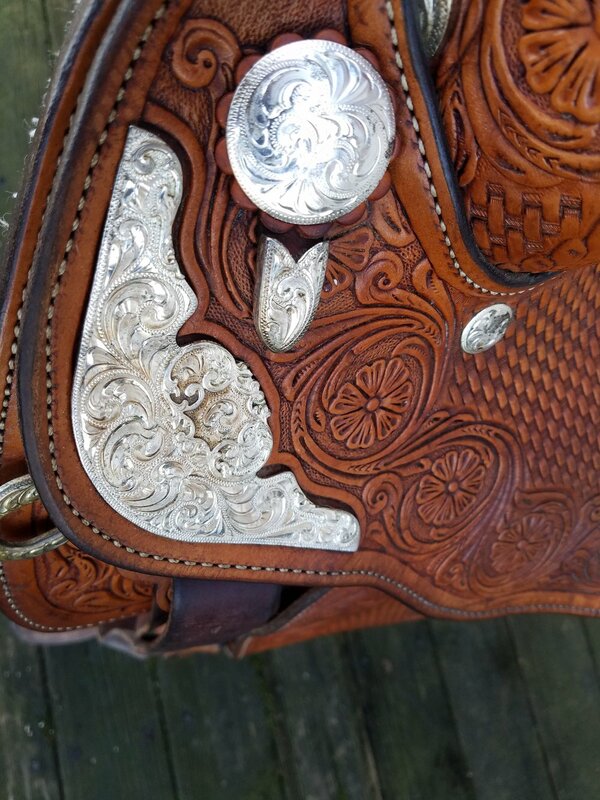 It was custom made for DD Saddles and used for mounted shooting. It has a smooth leather seat, wide padded flaps to keep your legs from getting sweaty. 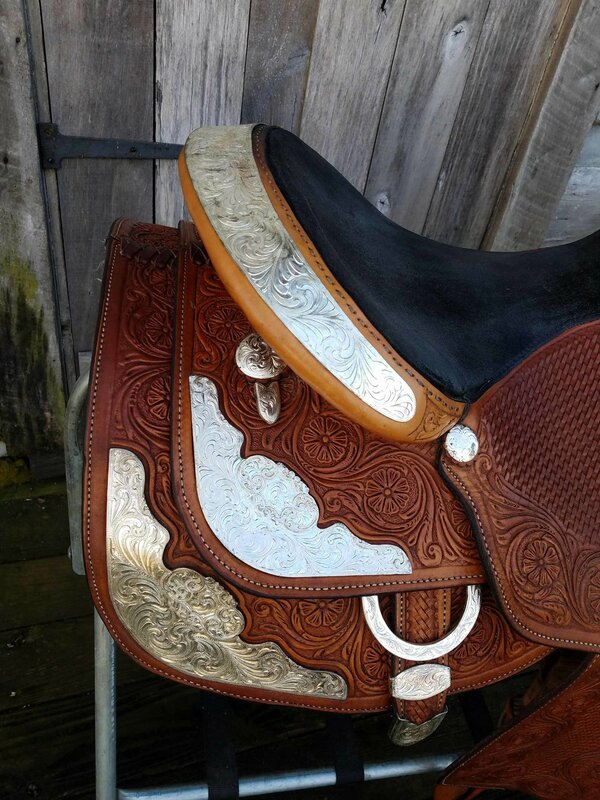 It has the english type leathers and stirrups for more freedom of leg movement. The stirrups feature extra padding that helps so much. The leathers twist easily, creating less pressure on your knees. With front and rear cinching options, you can also combine them for centerfire rigging. If you want a genuinee Eli Miller but don't want to pay new prices, this one is for you.